Instead of keeping the specs of this new cooling system a secret so you would need to buy it from us, we have revealed the specs for FREE for the following reasons. 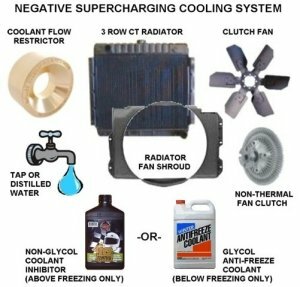 Therefore, if you use this new cooling system please acknowledge it as the Negative Supercharging Cooling System -or- Impulse NPS Cooling System. Radiators with tubes smaller than 1/2"
© Copyright 1996-2015 Impulse Engine Technology Pty Ltd. All Rights Reserved.